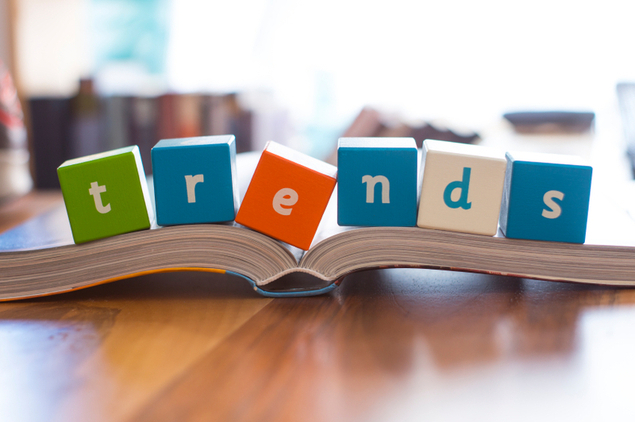 Take a look at student trends to help predict your financial aid and student borrowing outlook. CollegeBoard reports that the total amount of Pell Grants awarded in 2014-15 decreased to $30.3 billion from $39 billion in 2010-2011. However, the number of students receiving Pell Grants increased from 5.3 million in 2004-05 to 8.2 million in 2014-15. The average Pell Grant award was $3,673 – down from $4,189 (in 2014 dollars). More students are receiving Pell Grants, although the average amount awarded is lower than the maximum award offered under the Pell Grant. The maximum award is currently set at $5,645. It’s also worth noting the maximum Pell Grant award only covers 61% of average full-time tuition and fees at a public university. At private universities, that percentage is only 19%. Student Borrowing Want to hear some good news? CollegeBoard states that total annual education borrowing decreased for the fourth consecutive year. Compared to 2010-11, students in the Stafford Subsidized Loan Program borrowed 9% less, and borrowers in the Stafford Unsubsidized Loan Program took 11% less. However, for the 2014-15 school year, the volume of nonfederal student loans rose $10.1 billion, increasing at a faster rate than ever. Though borrowing is down year-over-year, the amount at which students are borrowing is still exponentially high. In 2007-08, the total amount of nonfederal loans borrowed was $25.6 billion. As mentioned above, in just one school year, the total grew by $10.1 billion. Student Debt Of borrowers that began repayment on their loans in 2011-12, 9% that graduated and 24% that did not graduate defaulted on their loans within the first two years of repayment. Also, borrowers that attend for-profit schools and two-year institutions were two or three times as likely to default on student loans than borrowers from four-year public or private institutions. CollegeBoard states that 47% of student loan debt was held by people in the top quartile of income distribution. Only 11% was held by those in the lower quartile. Finally, the average student borrower graduated with $26,900 in student loan debt. Students attending for-profit colleges and two-year institutions are more likely to struggle with student loan debt after graduation. This has led to a federal investigation into the viability of for-profit schools and their inability to increase success rates, leaving graduates jobless and saddled with debt. Those with the most student loan debt also make more money, helping to alleviate the burden of student loan debt. However, graduates with student loan debt that do not have high-paying jobs may find the process of repayment to be more manageable through an income-based repayment plan.